Another one for you pups out there. Saw it on Pinterest, made me wonder how hard something like this would be to make. Or, if you have the money but not the time, you could buy it at Opulent Items for a cool $300 (ouch!). We like that idea and can't be that hard to make. Pinterest is so cool cos you can find so many useful things. TW has been using it for PhotoShop tips and tricks while I use it to promote my blog and jot down my wish list and toys and kitty stuff. 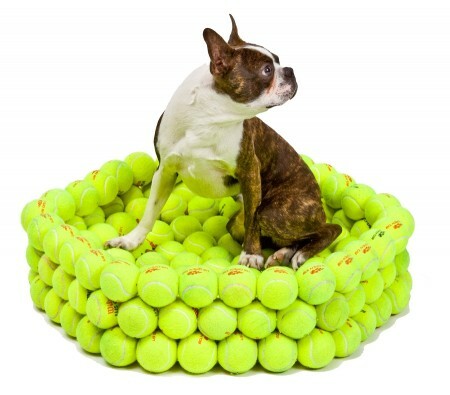 My hairy slobbery sister Cinnamon would LOVES LOVES LOVES this! That is really cool! I wonder, though ... would a dog just want to chew on the bed all day? Oh, that looks very interesting! At $300, Mommy would FIND the time. MOL! !